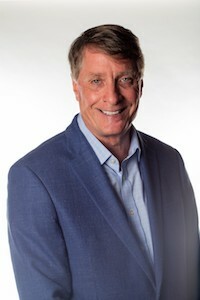 Brian Darmody was announced AURP CEO in February 2019. In this new role Brian will lead AURP into new initiatives including expanding membership, international partnerships and funding in order to build out additional member benefits. Over the course of the year, Brian will be winding down his activities at UMD where he currently serves as Associate Vice President (AVP) of Corporate Engagement at the University of Maryland (UMD). At UMD, Brian is responsible for developing the overall university strategy for corporate relationships, as well as the development of projects and policies to support these initiatives centrally and through the colleges and schools on campus of the University of Maryland. Previously, he was the University’s AVP for Corporate and Foundation Relations in the Division of University Relations, AVP for Research and Economic Development, Assistant Vice Chancellor for Technology Development, Director of State and Federal Relations in the President’s Office and has served in the university’s legal counsel office. He serves on national and state boards, including: Fraunhofer USA, the Maryland Economic Development Association, and the Maryland Tech Council. He holds a Juris Doctor from the University of Baltimore and he received his bachelor’s degree from the University of Maryland, College Park.